Guilt-free options at Pizza Hut - Hello! Welcome to my blog! Savour the bounties of the earth completely guilt-free this Lenten season. 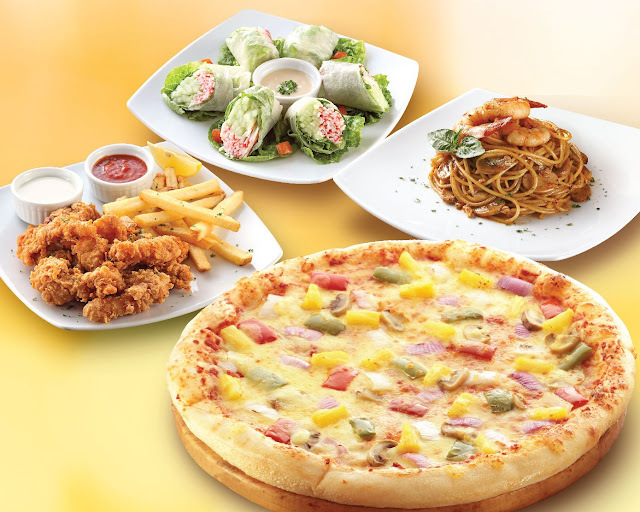 Pizza Hut, the country’s leading pizza brand, offers you a collection of hearty dishes from now until March 29. Welcome the goodness of Spaghetti Shrimp Garlic and Mushrooms, which features spaghetti, shrimp and mushrooms sautéed in rich garlic-butter sauce. Enjoy a Veggie Lovers Supreme Pizza, available in Hand Stretched Pizza, Pan Pizza and Stuffed Crust Pizza variants for both dine-in and delivery. With crunchy bell peppers, heady mushrooms, chunky onions, and juicy pineapples laid above a double layer of mozzarella cheese, you’re sure to experience finger-licking delight. For those staying at home, you can have Veggie Lovers Supreme or Cheese Lovers Pizza in Hand Stretched Pizza, Pan Pizza and Stuffed Crust Pizza variants delivered right to your doorstep. Make sure to try your pizza of choice with freshly-baked Garlic Bread and Slingers for a filling meal.